Having watched Seppi’s match against Ivo in the previous round it became apparent to me after struggling for two seasons on and off with serious injuries Seppi is back to his ultimate best. He’s returning serve like he used to as well moving and striking the ball with that same old-school Andreas Seppi intensity and keeping his composed cool on big points. Seppi’s always had an underrated return and for me just like Troicki, it’s due to the rest of his game not being quite up to the same scratch. Going the course of five sets involving multiple tiebreaks versus arguably one of the greatest servers of all time in Doctor Ivo will have really prepared him heading into this match. He’ll be zoned in for dealing adeptly with Edmund’s big serve. He’s seeing the ball. When we consider the major thing that has helped Edmund get into this second week has been cheap points off serve, he’s going to find it hard going earning the same joy against a returner such as Seppi. Other areas of his game are going to be regularly more tested and put through the rigour. I can see him becoming as a result a little more uncomfortable and less rhythmic in his tennis from the back-of-the-court than compared to his matches in-the-lead-up here. Seppi’s defence, movement and option to also surprise opponents with his offence in taking backhands nice and early, rushing them in preparation for their shot, makes dangerous reading for Kyle, given the full-western grip he uses on his forehand. That problem is multiplied in 10 fold by the fact the surface this year is the fastest that’s ever been used in Melbourne since they moved to pleixcushion hard courts in around 2008. It’s ice. Edmund needs time on that western forehand. 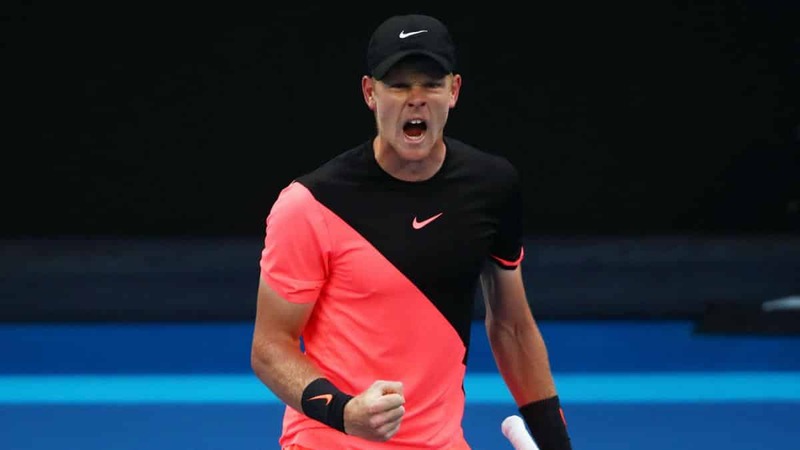 In this match-up on a court as quick as this Edmund need a little bit too much time on the ball in order to prepare adequately for his favoured stroke. With this in mind and the sense that Edmund may not get the same easy edge early in the rally using his serve he was able to in previous rounds, given the way Seppi is returning, I don’t see how it’s going to pan out necessarily that well for my fellow Brit. In his good run this season Edmund’s played no one with real great defence other than Chung. He barely scraped through that match and they didn’t play five sets. Seppi’s back guys. He’s built-up his match-fitness and rhythm to peak Seppi standards. He’s had loads of matches to get his game perfect. He won the Challenger in Canberra and coasted through his section of the draw, here. Unfortunately for those not reading, they don’t see this and the favourite may be getting ambushed. The British pundits and media to once again say we shouldn’t put pressure on young Kyle and that people are foolish to be comparing him to Andy Murray, after he gets knocked out in a gruelling match. Andreas Seppi in 5. Back Andreas Seppi at 3.20+ on the Betfair trading exchange and remove your stake/liability after he wins the first set. If he goes up an early break in the second, trade/cashout for 85%+ of the maximum potential profit.